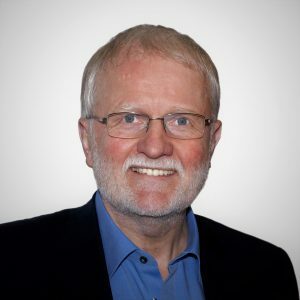 Winfried is what you would call a ‘travel veteran’, having started his career in the Travel Industry as an apprentice with a German Tourism company back in 1973. Before entering the world of Travel, Winfried took on a variety of roles. Initially, he trained in agriculture, then worked as a cab driver, barman, DJ, doorman, sleeping car conductor to name but a few! This explains why he never had the time to go for an academic degree. Soon after his education as a travel agent he held leading positions with well-known brands such as Schenker (yes, they had some travel agencies at the time); Thomas Cook Business Travel and American Express. In his senior role with Amex Winfried managed all business travel in Central Europe which included countries like Germany; Switzerland; Austria; the Netherlands; Russia; Eastern Europe; Greece; Italy; Spain and Egypt (not Europe of course). He also had responsibility for mergers and acquisition deals in EMEA and was responsible for the integration of Rosenbluth International in EMEA, after they were acquired. Winfried left the company during the “‘Lehmann crisis’’ when 20,000 staff globally were laid off. Since then he has called himself a ‘happy victim of the crisis, having subsequently opened his own business in 2009. From the very beginning, Winfried has been a great supporter of ITP – the catalyst being Ian Epps as they both knew each other from their time working for Thomas Cook Business Travel. Winfried helped to bring on board the German partner FBT for ITP at the time and since then has performed various roles and assignments working with and on behalf of ITP. The rest of Winfried’s business activity is spent consulting with corporations of all kinds in many countries around the world on how to optimise their investment in business travel. He is the acting COO of ACTE-BCHA a hotel accreditation concept, which went live recently as a major effort by ACTE-Association of Corporate Travel Executives. Winfried is a frequent speaker at various travel events and a columnist for e-magazines. Following his personal motto: ‘Get up early, sell the Value Proposition and keep a happy family’, Winfried spends a lot of time with his family, which by now also includes grandchildren.